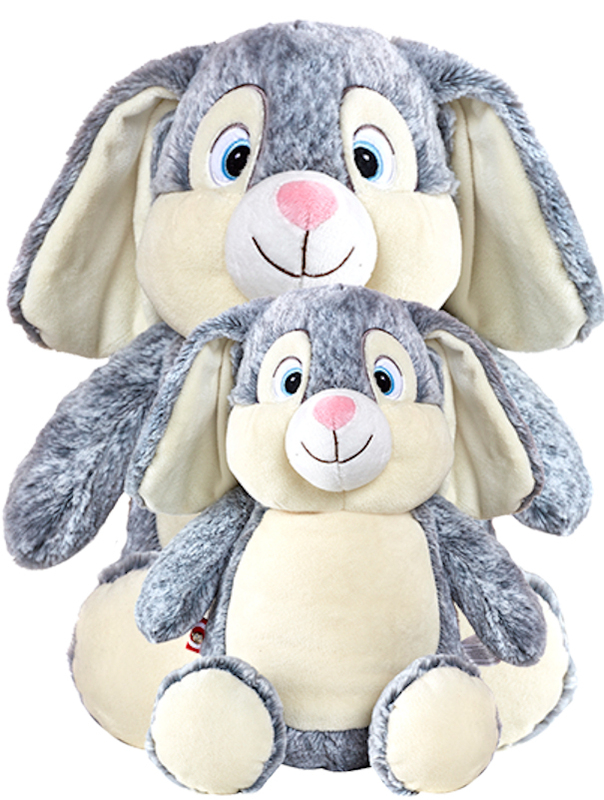 These beautiful cuddly Personalised LARGE Rabbit Hug-Me Cubbies make superb personalised Easter gifts. Personalised Embroidered LARGE Rabbit Hug-Me Cubbies sit approximately 50cm high and are wonderfully soft and cuddly. They will be personalised with your child's name, and make a fantastic gift that will be loved and cherished for ages. These personalised LARGE Rabbit Hug-Me Cubbies are just so cute, everyone will love them. The embroidered area on the Cubby measures approximately 100mm x 100mm. The Personalised LARGE Rabbit Hug-Me Cubby images displayed are only rendered mock-ups to demonstrate what each design would look like on the cubby. The actual Cubby would be professionally embroidered to produce a finished product that will be far superior quality than any made-up image can possibly display.